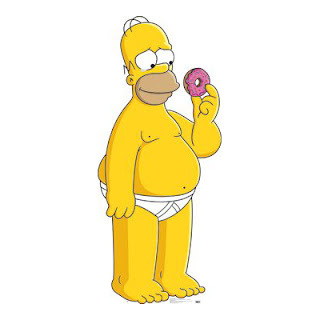 Always Drunk: Happy Doughnut Day! Seriously, today is National Doughnut Day. *snif* I love this country. 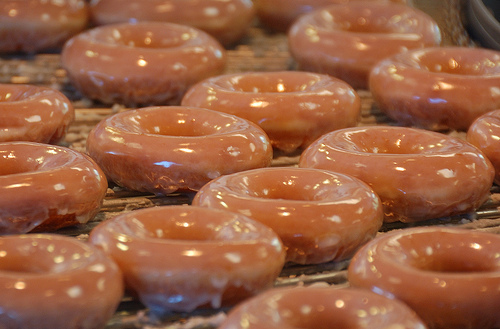 So you can go to Krispy Kreme or Dunkin' Donuts today to get a freebie if you're so inclined. But any doughnut aficionado knows that you don't go to those places for the best fried O's. DD is OK in a pinch (and after midnight runs second only to Denny's as the place to go for late-night post-revelry refueling). Krispy Kreme doesn't even sell doughnuts - they sell Krispy Kremes, which are OK for what they are, but they're not doughnuts in the pure sense of the word. Rule 1: Doughnuts should not have a mirror-like finish. ﻿ For my money, you've got to treat doughnuts like Chinese or Italian food: Avoid the chains and patronize the dinkiest local place in town. That's where you get the best quality. If the proprietor is eccentric and/or borderline hostile, all the better. By those criteria, the best doughnuts in the entire world can be found at Jerry's Donuts in Farmers Branch, Texas. Yep, Farmers Branch, of soon-to-be-ex-Mayor Tim O'Hare fame. I don't know if Mayor Tim is a fan of Jerry's - I've got to think he couldn't be and still be the hate-filled petty dictator who destroyed the national reputation of a fine small town. Jerry's doughnuts have the power to elevate people's souls. Maybe somebody should send a few boxes to City Hall. There really is a Jerry, and he makes the doughnuts with the help of a few frying minions. Jerry is irascible, taciturn, and rough around the edges. He'll scold you if you try to buy too many of his treats without ordering ahead. Don't even try to walk off with more than your fair share of kolaches (which are heaven in a blanket) - he'll sell you two, and you'll be happy to get them. I love Jerry. Besides the fact that his doughnuts are delicious, he runs his shop the right way. He makes a bunch of doughnuts early in the morning, and when they're gone, he closes. Doesn't matter if it's almost noon or barely nine. First come, first served, and tough luck if you get a hankering on a high-demand day. The second-best doughnuts I ever had were from Grebe's Bakery in South Milwaukee, Wisconsin. Grebe's is an institution in Milwaukee, and you can visit their flagship store on Lincoln Avenue, but alas, the bakery on 10th Avenue in South Milwaukee is no more. My memories of my grandparents are inextricably linked to breakfasts featuring Grebe's crullers and jelly doughnuts. ﻿ And ham on buttered hard rolls. My whole life I haven't found a hard roll that compares to Grebe's. That could be simply nostalgia - how difficult can it be to make a decent roll? - but any cook will tell you their toughest critic is the memory of how people think food should taste. And I think hard rolls should taste like Grebe's. But back to doughnuts. I could really go for a couple right now. A chocolate-creme filled, or maybe a bag of donut holes. This is not a healthy line of thought. 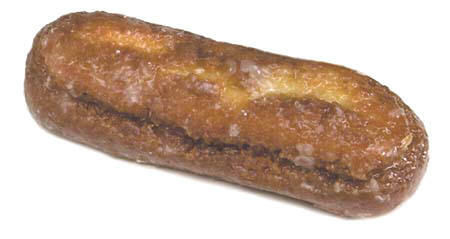 But a good doughnut transcends petty concerns about calories and fat. They're magical that way. To quote Homer Simpson, "Doughnuts. Is there anything they can't do?"